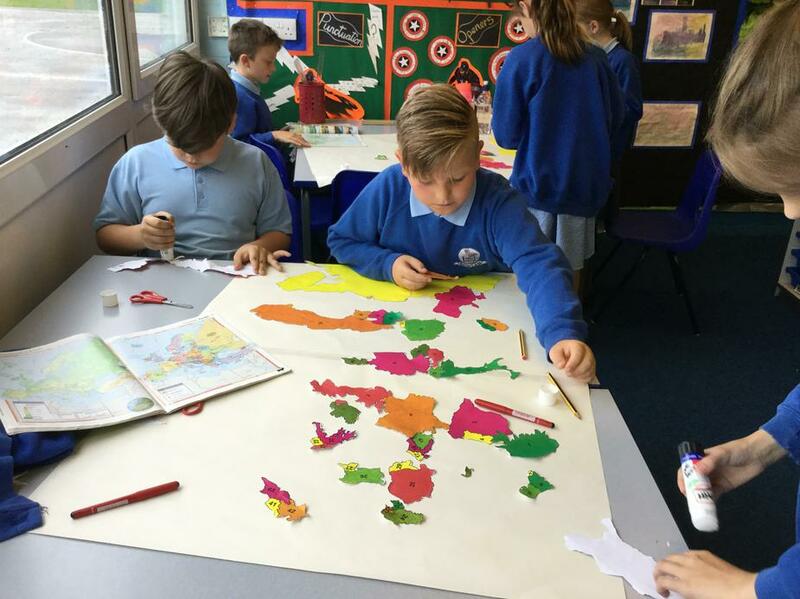 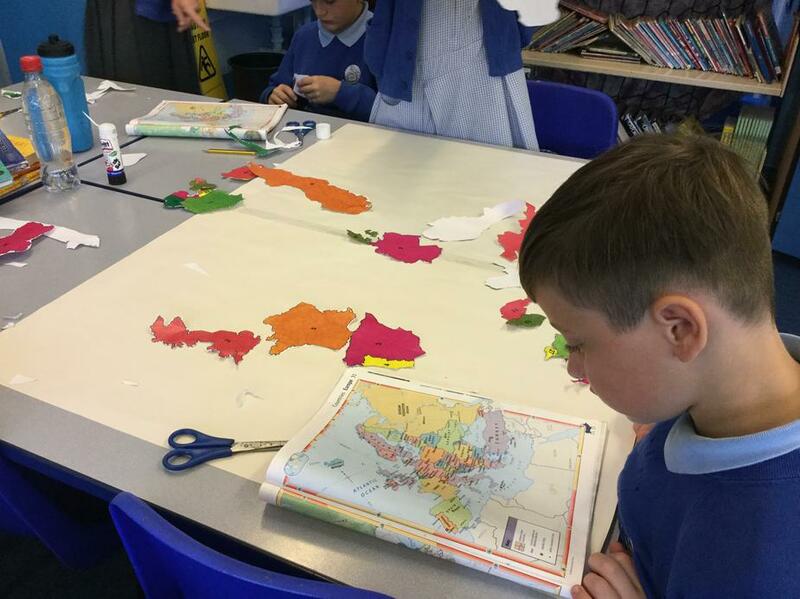 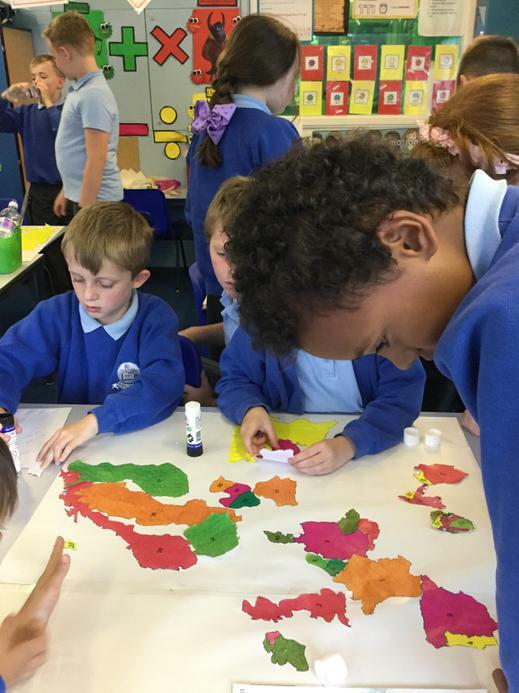 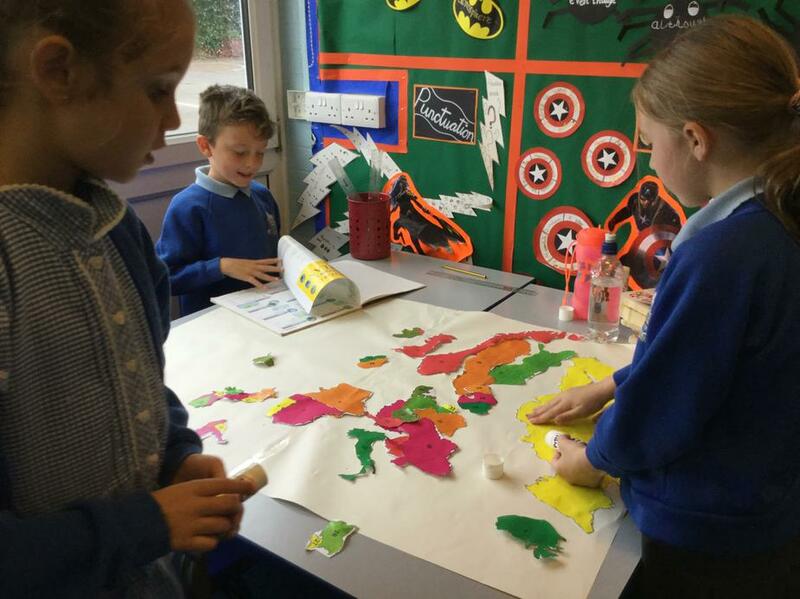 To learn about the countries of Europe, we were set the challenge of the hardest jigsaw ever! 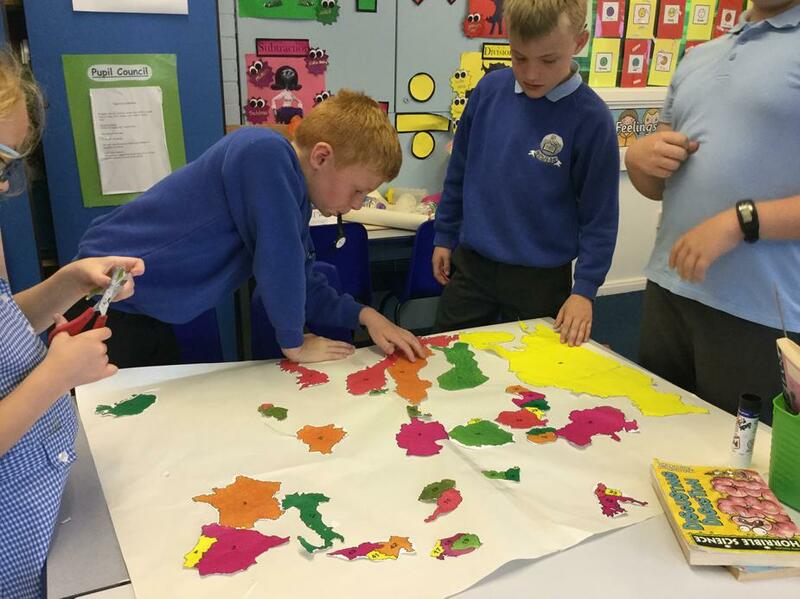 All the countries were muddled up and we had to put them together......in the right places! 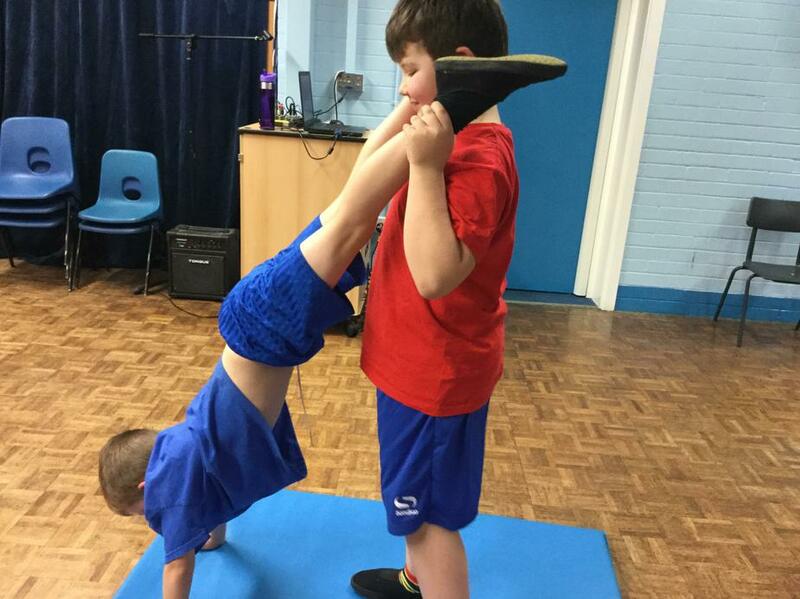 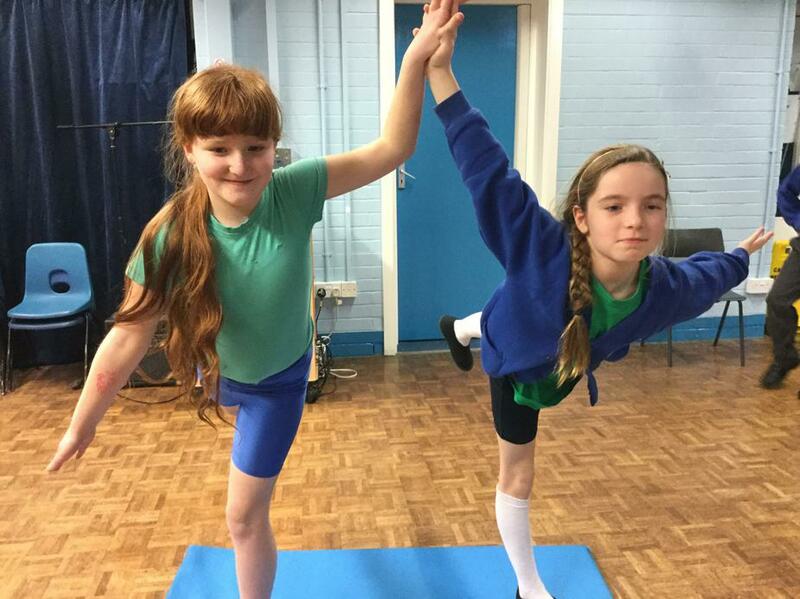 Here are some photos of us in PE, Maths and Science lessons. 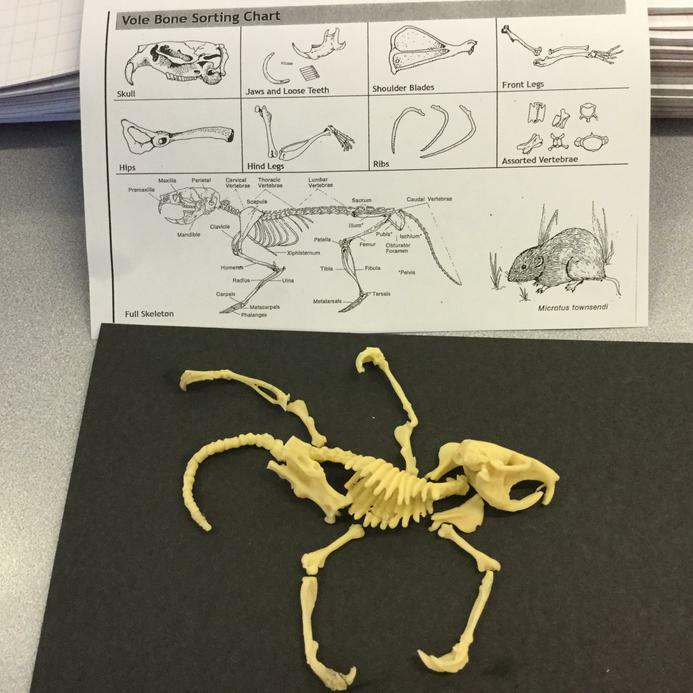 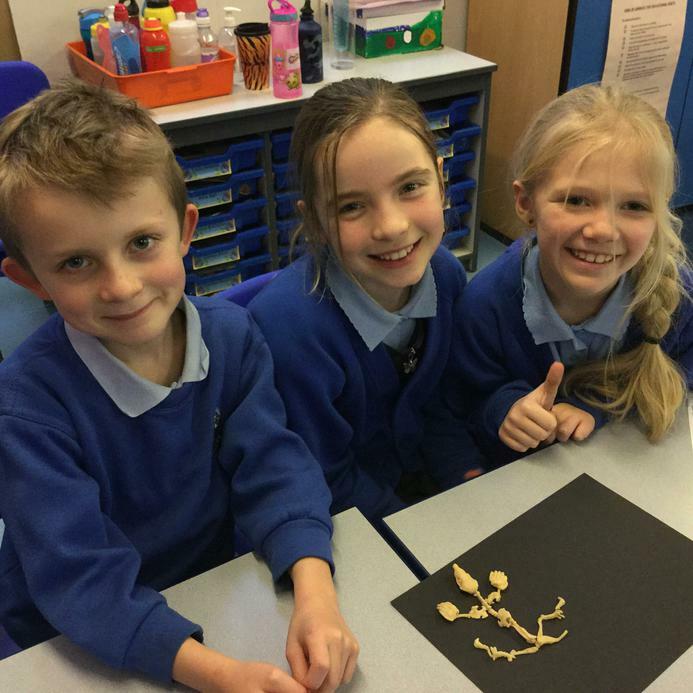 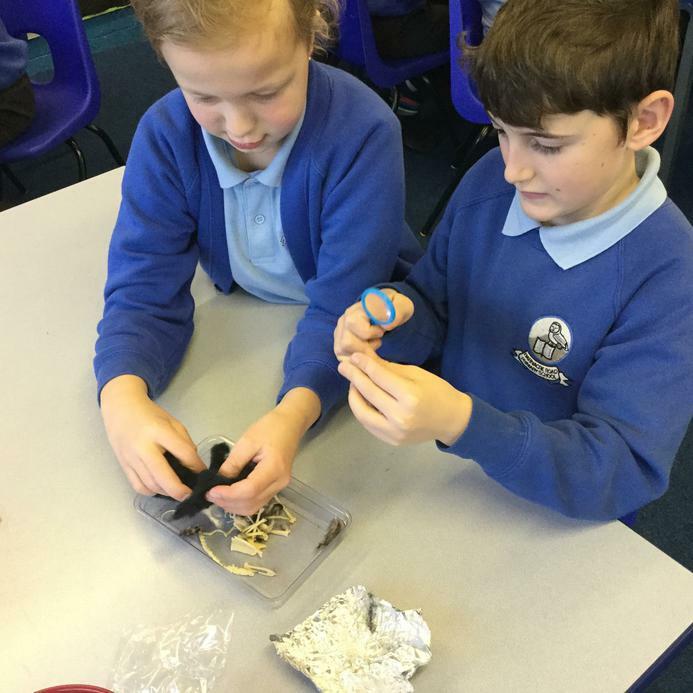 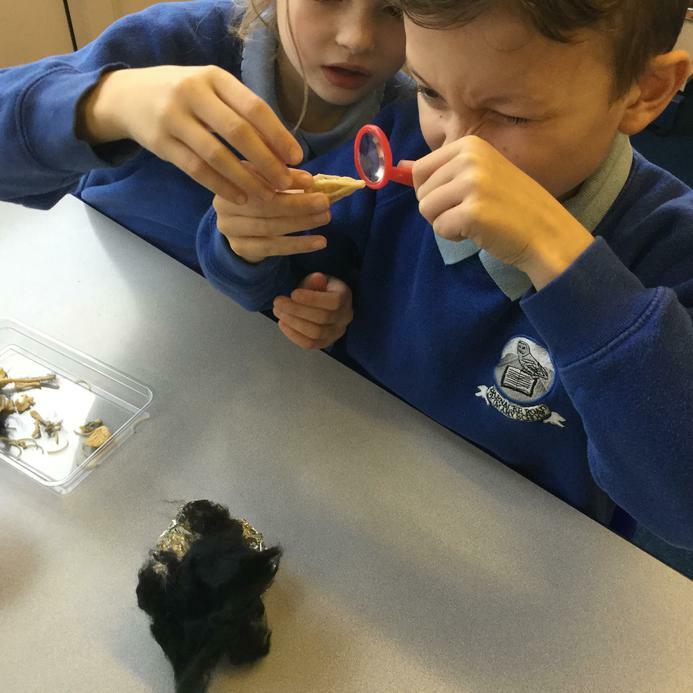 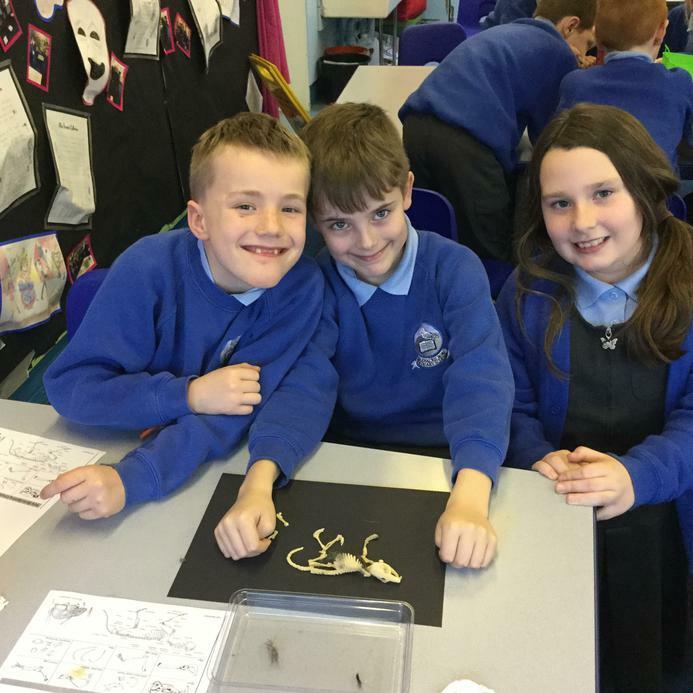 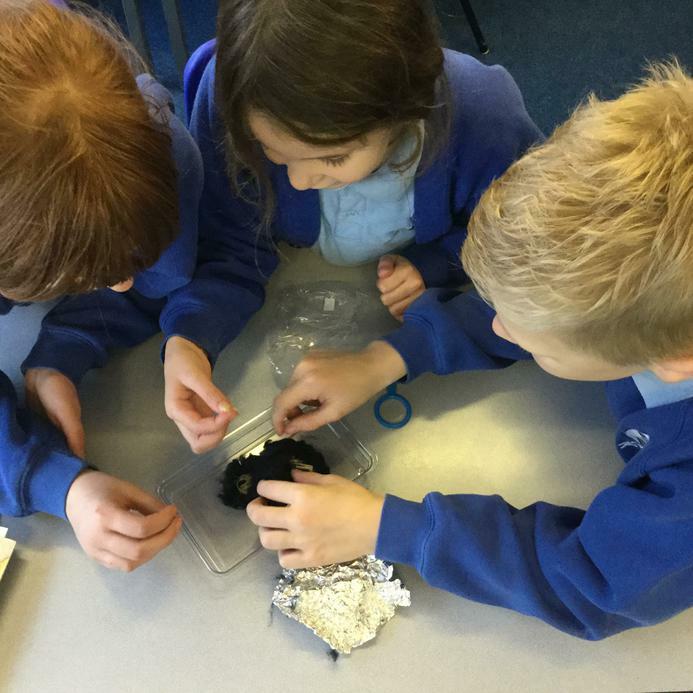 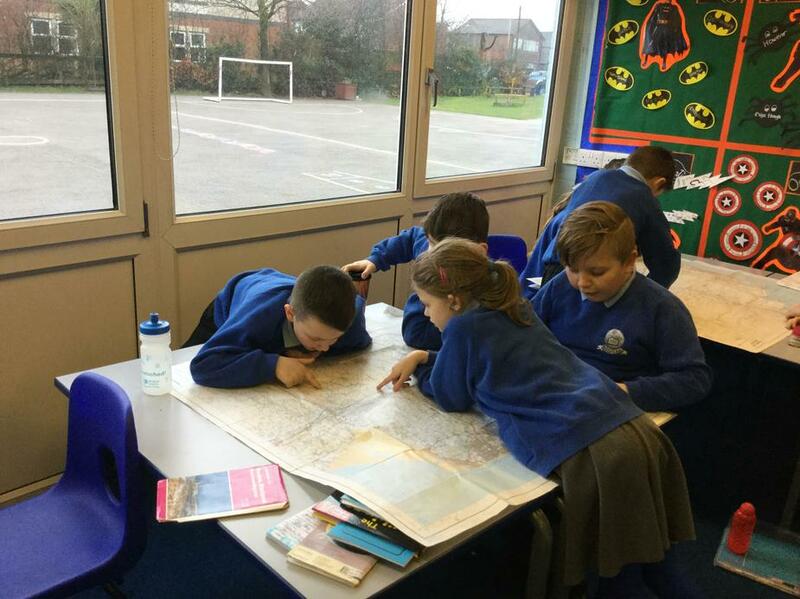 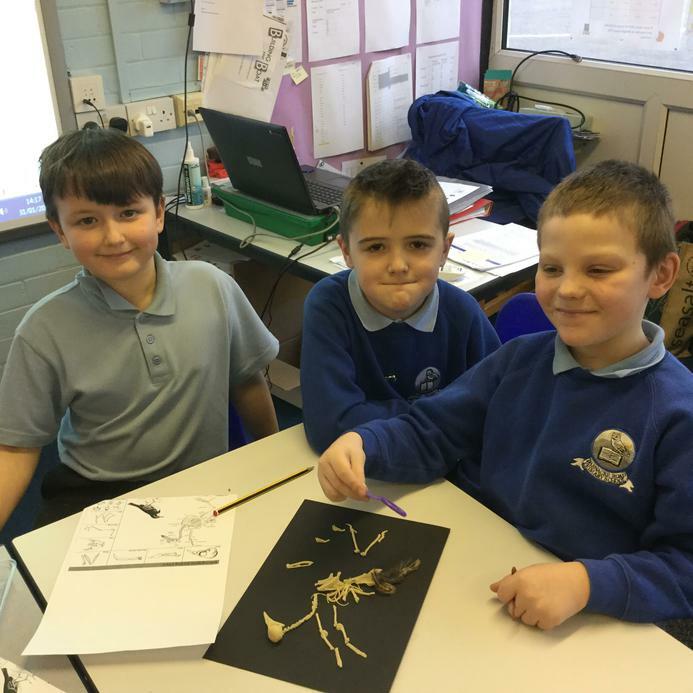 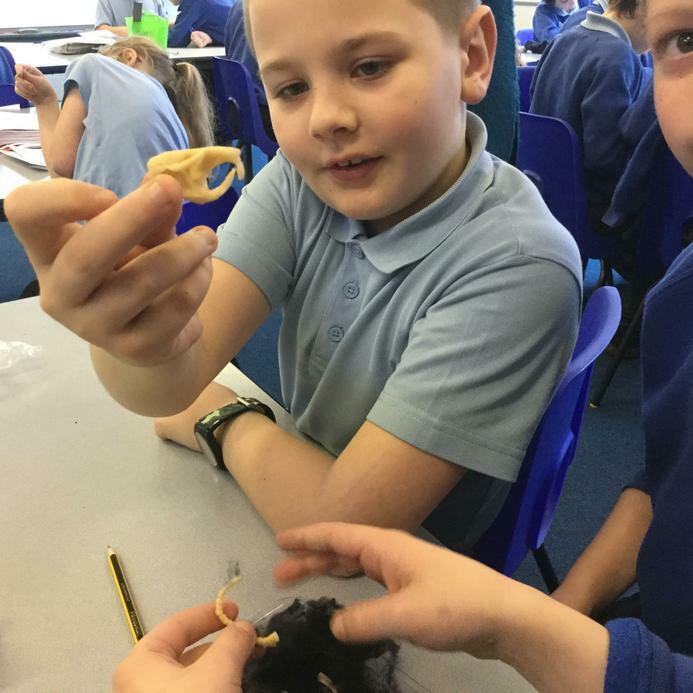 Wherever possible, we try and be hands on on our lessons as it makes learning more fun and we are more likely to remember what we have learned! 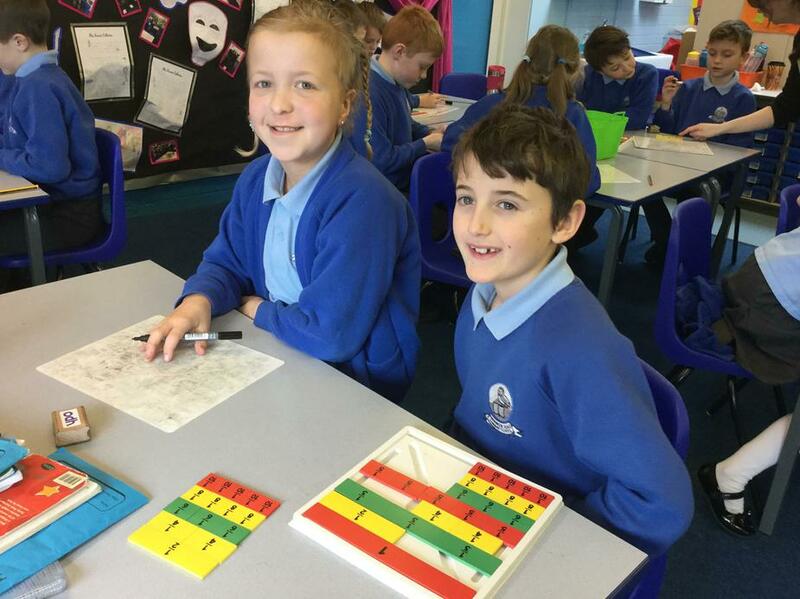 We are very lucky to have a set of glockenspiels in school and we used these in conjunction with our French lessons to learn to play and sing French songs.